You can experiment a bit more with performance variants of premium saloons, such as the BMW M3 or Audi RS5, but its best not to be too adventurous with everyday versions, said Gavin. eye-catching colour will actually help to slow a cars depreciation. Fiat 500 buyers, for example, are better off plumping for white or red rather than silver, and the Citron DS3 hangs on to its value better in yellow or white than it does in grey. Buyers of fashionable small cars want to stand out from the crowd, so it stands to reason that the bright colours are more desirable, said Gavin. Sports cars are an anomaly because they hold their value equally well in conservative colours and more lairy shades. Whether you choose grey, black, white, silver, yellow or even bright red for your new Porsche 911, Cayman or Boxster, itll be worth near enough the same after three years. There are still some pitfalls, though: go for green or brown and youll batter your Porsches second-hand value by 7-9% that translates to a loss of almost 3000 on an entry-level Boxster. As a rule, metallic paint boosts the value of a second-hand car by a few hundred pounds, but you need to offset this against the extra cost of the paint when buying new. 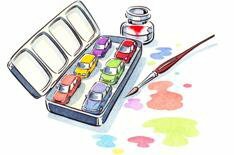 Youll make back roughly half the original cost of metallic paint on run-of-the-mill cars such as superminis, small family hatchbacks and family cars. 500, your return is likely to be even lower. A metallic finish is a no-brainer on most executive and luxury cars, though. Spec your new Audi A6 3.0 TDI SE in solid, rather than 600 metallic, black for instance and itll be worth 1100 less after three years. Tick the metallic option box and youll be 500 better off in the long term. The retained-value percentages youll find in What Car? and on whatcar.com are based on an average of all the colour options available for the car in question. In reality itll vary slightly depending on your colour choice. Bear in mind that unusual colours can go out of fashion very quickly, so be cautious, especially if you end up selling your car privately.